Whilst many of you will have come to our Dorset holiday cottages to switch off, relax and maybe do nothing more strenuous than a country stroll to our wonderful country pubs, there will be others who wish for a bit more activity and excitement. Here is just a handful of some ideas to hopefully get you started, I will be adding more. With the stunning Jurassic Coastline visible from most of our farm, sea activities would seem a sensible place to start. Local Beaches on the Jurassic Coast. 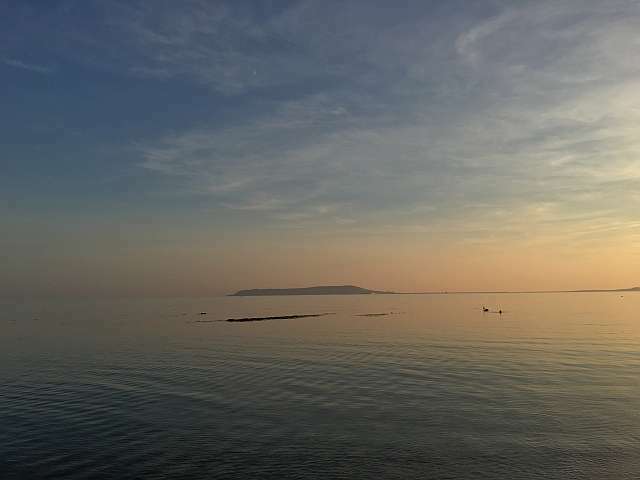 Ringstead Bay is approximately 5 miles to the east of Weymouth through beautiful unspoilt countryside off the A353 near the village of Poxwell. It is about 700 yards of shingle beach with uncovered sand once the tide goes out. It has superb views across the bay towards Weymouth and Portland and there is plenty of parking (paid) and a small shop and café. The sea is beautifully clear and considered safe for swimming. Ideal to take a disposable barbeque and picnic. Weymouth Beach has already been mentioned on the Top 10 page but really is a beautiful sandy beach with lovely clear shallow water set against Weymouth’s fine Georgian seafront. It has once again received a National Seaside Award for being safe, clean and well maintained. Absolutely ideal for young kids wanting to build sandcastles and paddle in the shallow sea. Westbay is approximately 10 miles to the West of our holiday cottages just south of Bridport. 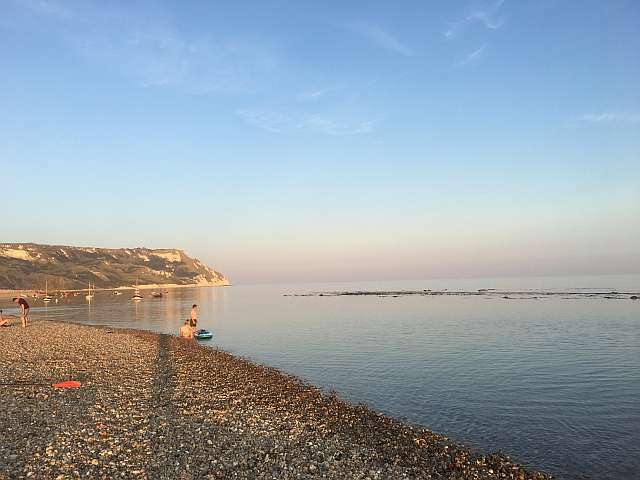 It is a pebbly beach with the sea shelving quite steeply so ideal for stronger swimmers with the added attraction of the colourful Westbay Harbour at one end. 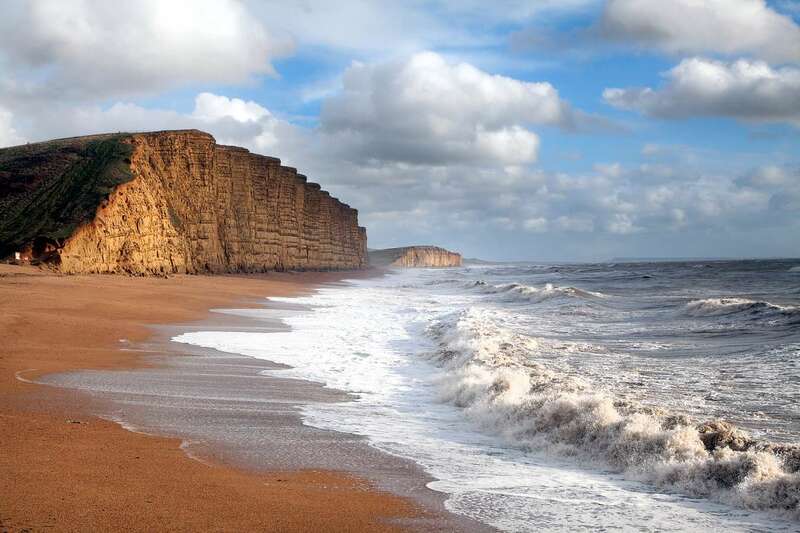 Fans of the hit TV series Broadchurch will recognize the beach instantly. 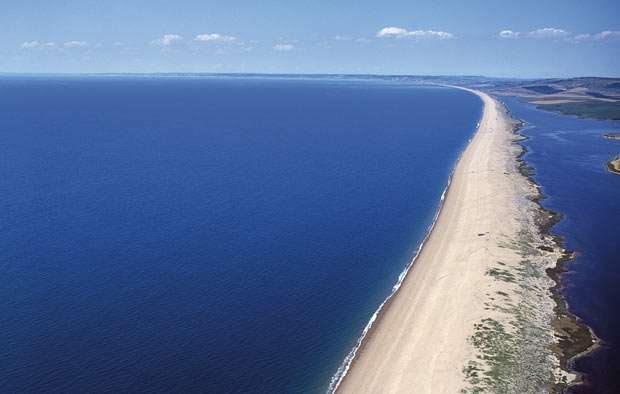 One of the most famous names amongst sea fishermen anywhere around the British Isles is the unique Chesil Beach running from Portland to the east approximately 10 miles west towards Epe. You are able to fish anywhere along the Chesil Beach, however the easiest places to access by car are Abbotsbury, West Bexington and Ferry Bridge near Portland. Depending on the time of year expect to catch mackerel, bass, cod, whiting, plaice, bream and red mullet. Further information can be found in this good article on where to sea fish off Chesil Beach. Kite Surfing at Portland Harbour. 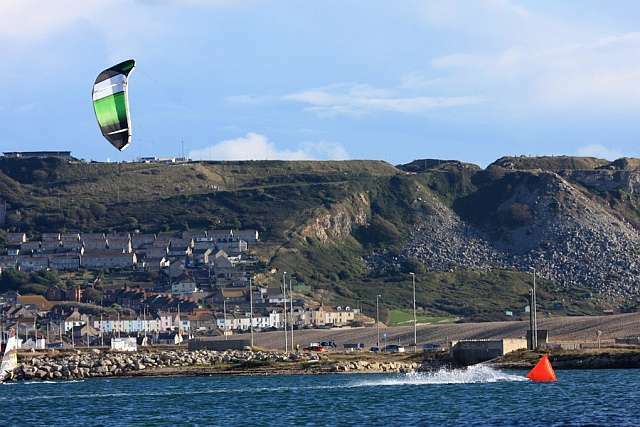 The smooth flat waters found in Portland Harbour and the prevailing south west winds make this an ideal place for Kite Surfing. Paracademy is one of the oldest and longest established kitesurfing schools in the world and has excellent instructors ready to give you a first taste of this fantastic sport or take you on to the next level. Visit their website Paracademy for full details and book 1, or 3 day starter courses online. Recently I have had a number of guests asking about riding in the local area. 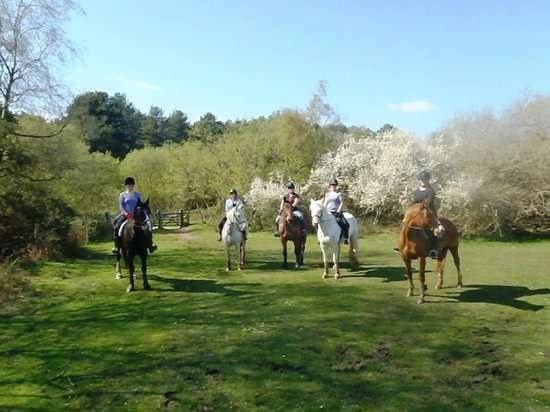 Certainly our beautiful Dorset countryside lends itself to exploring on horseback and maybe giving your kids a first taster of ponies and horses. Bidlake Riding Stables near Bridport is a family run business catering for children 5 years and older. They specialize in doing small family groups and ride through the stunning Marshwood Vale, famous for its hidden valleys, rolling hills and fabulous views looking towards the Jurassic Coast. They do mention that they only take cash due to unreliable internet and mobile signal in the area! 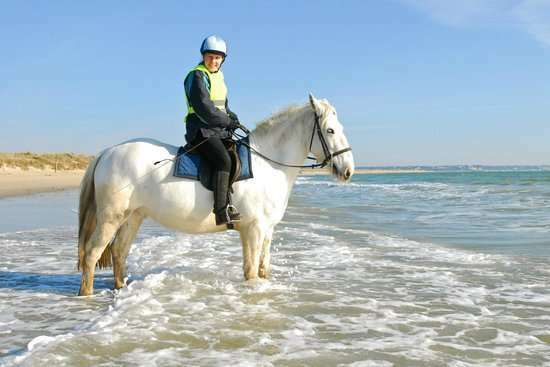 To enjoy a completely different part of Dorset, Studland Stables situated in the picturesque village of Studland, 5 mins from Swanage offers riding for all abilities, from beginner through to walk and trot and finally walk, trot and canter. They offer a number of different treks through forests, heaths, to visit the famous Harry Rocks and even cantering over the beach. To make sure Dad joins in they even offer Pub Day rides! Quad Biking, Clay Shooting and Paintballing. Gorcombe Extreme Sports is situated in the village of Thornicombe near Blanford Forum about a 40 min drive from our holiday cottages. Another family run business, Gorcombe Sports offers our adrenaline-seeking and adventurous guests Quad biking, Paintballing, Clay Pidgeon Shoot, Archery and an Extreme Assault course. At the end of the day they also have a luxurious pool and jacuzzi to relax in and share stories of the days excitement. ← The Anchor Inn at Seatown with Stunning Views of Jurassic Coast.